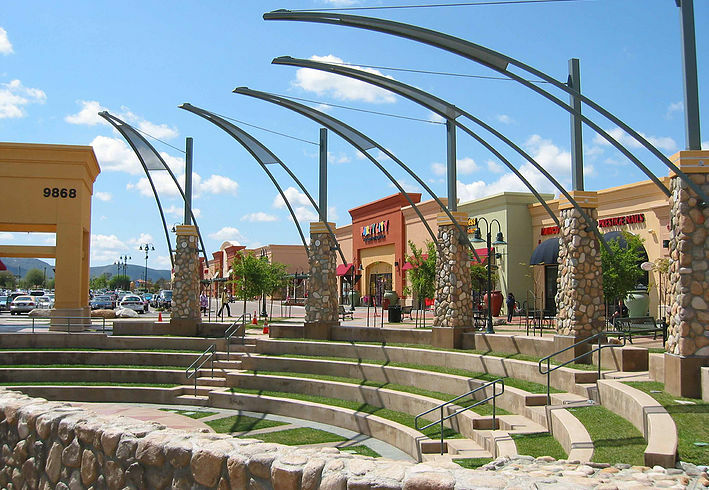 Santee Trolley Square – McParlane & Associates Inc.
Santee Trolley Square is a $45 million, 50-acre retail center. The project is distinguished by incorporating a unique design, architecture, and landscaping. Santee is reinventing itself as the region’s Golden Triangle East. For the East County community, the San Diego Trolley provides gateway transportation to a “centerpiece” development – Santee Trolley Square. Already recognized as the largest retail project to open in San Diego 2002, Santee Trolley Square is attracting attention for its stellar lineup of merchants, significant amenities, dining, and entertainment unique in San Diego County.